The official Freemasons team this year was 95 strong including Brethren, wives, partners, sons, daughters, and friends. All wore T-shirts featuring the square and compasses on the front, and Speak Up for Freemasonry on the back, as can be seen from the photos. The support team set up BBQ's and refreshments in a marquee in the official tent village, and about 35 supporters joined the particpants for an enjoyable social. 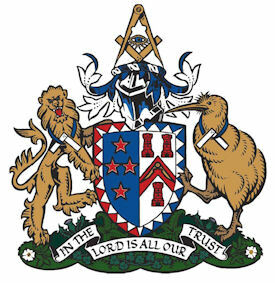 The participation of a Freemasons team was once again organized by Mark Pagulayan, Past Master of the Titirangi Mount Albert Lodge. His enthusiasm and drive and the support of his Lodge and volunteers in the tent saw another very successful event.